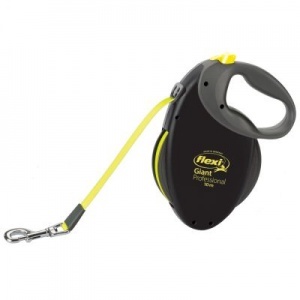 The Flexi retractable leashes never slacken as they are always subject to sufficient tension. With the help of the intergrated braking system the animal is always under control. In addition a lock button can fix the length of leash when walking to heel. This is a good unit but i found it too heavy to carry on a longish walk with my Labrador dog. He is 9 stone. 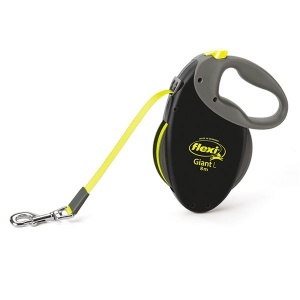 I say go for the smaller one with 5 metre lead not this 8 metre version.